and you will see the greatest magic you have ever seen. Techniques are only abstract ideas until they’re put into actual use with your own two hands. It’s a bit like driving — you often don’t really know the way until you’ve driven there yourself. This is not a quick, passive read; it’s meant to inspire you to discover each paragraph with your own two hands so that you can possess the concepts fully. I hope you'll work through it slowly and come back to it often over the years as a practical reference. Or perhaps you're like me and will devour the whole work in one or two sittings and then go back and think more deeply the second time through. 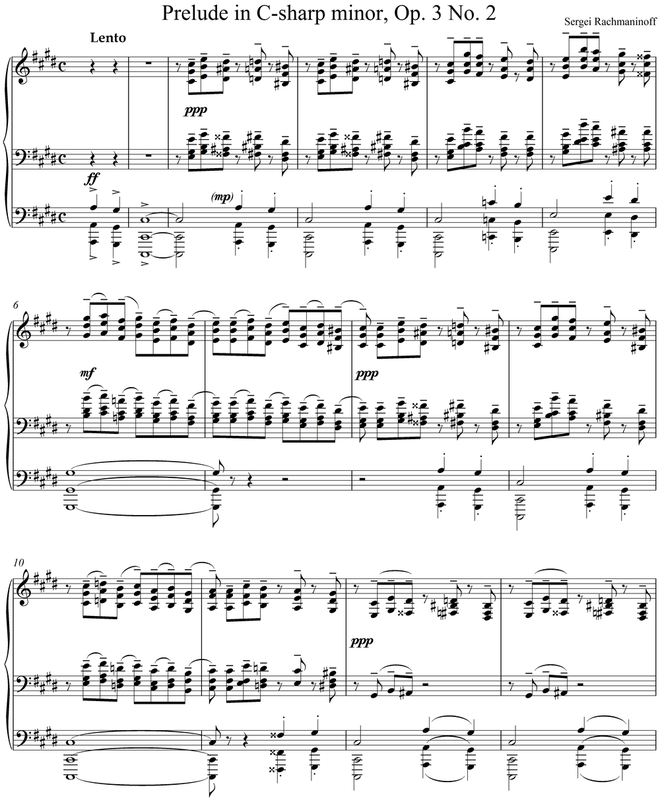 In Part I, I will focus on a single page of music — the “A-section” of Rachmaninoff’s Prelude in C-sharp Minor, Op. 3 No. 2. You may have already studied the piece or likely at least have a strong familiarity with it. We will apply all of the techniques of energy and orchestration to this single page of music, so if you are unfamiliar with it, I invite you to spend some time putting it under your fingers as you read on. It is within reach of the intermediate pianist. If you can put even the first system under your fingers, the following pages will be much more meaningful and instructive. I approach learning a new work as a process of filtering, and over the years I’ve developed hundreds of techniques to filter music, each revealing it in a different light. I always return to freedom, allowing myself to follow my own intuition to the nth degree. But intuition is a curious animal — it is the sum of experience, prejudices and preferences, and is altered by your present physical/mental/emotional state as well as by a host of other often arbitrary influences. It needs to be listened to, but also trained and guided. Gradually your relationship to your intuition becomes more direct, and your intuition itself wiser and purer. The following filters are essential to developing a rich, multi-layered, multi-dimensional interpretation. I recommend starting by using them in the order presented in the following posts, however it’s later possible to reorder them at will.